I have a 9 to 5 type of job and while I have room to dress business casual most times, there are still days that I like to pull out a sleek suit look. There is something about wearing a suit that makes me feel extremely put together. 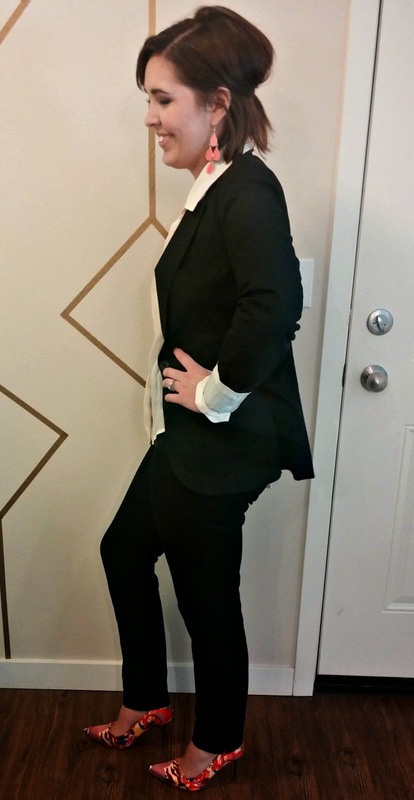 When wearing a suit, I still like to have a little fun with it. I did that with my accessories in this outfit. The heels I found at a thrift store a few weeks back and I paid a little more then I typically do for shoes. 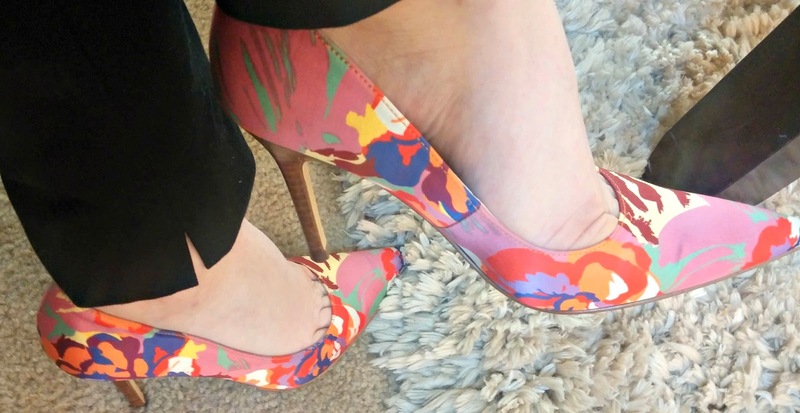 They were $8.99 but I could not pass up the floral print on these beauties! I will wear them all the time too since I pretty much wear heels every day to work. (I'm trying to justify it, I know!) Anyhow, the heels and earrings added just the right amount of color to this outfit while still keeping it professional. It's Friday people! Enjoy yours as much as I am enjoying mine!